Does Vinegar Turn Acrylic Paint Into Fabric Paint? 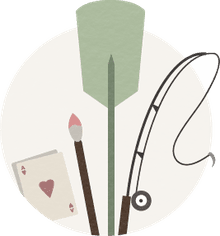 You don't have to be dissatisfied with the color selection of fabric paints if you have a vast palette of acrylics—but you can't just paint plain acrylics onto fabric and expect them to work well over the long haul. It's not just a matter of thinning them down with water or vinegar to make them flow better off of the brush and onto the fabric surface. Vinegar is good for a lot of things (especially cleaning grime off of this or that, as it's a mild acid), but fixing paint to fabric is not one of them. "Water-based artists’ acrylics need to be in an alkaline environment to be stable and are very sensitive to changes in pH. In fact, if the overall pH drifts too much towards neutral, you can often get a cottage-cheesy texture as the low pH will cause the binder to coagulate. As vinegar is an acid, it is the absolute opposite of where the acrylic system likes to be and adding even a small amount will likely cause it to react negatively, and we would not recommend it. Although it is a good lesson in acrylic polymer chemistry!" The most likely theory about using vinegar and paint for fabric may have come from the use of vinegar to help fix fabric dyes. But dyes and paint work differently: to vastly oversimplify it, dyes penetrate the fibers, whereas paint sits on top. Placing a vinegar-soaked cloth over the acrylic paint before ironing won't help acrylic paint stick to the material; it's the binder in the paint that does that, helped by the heat. The product you need to turn acrylic paint into fabric paint is called textile medium or fabric painting medium, such as Golden's GAC900 or another brand. Adding this substance to acrylic paint makes the paint flex with the fabric, instead of drying stiff, cracking, and flaking off when it's washed—or washing out completely, if it's washable acrylic paint. Textile medium also thins the paint for better coverage and flow, as acrylic is typically too thick out of the tube to paint well on fabric. Just follow the directions on the bottle for the appropriate ratio to mix with your paint before decorating your piece. There are no requirements as to how you apply the thinned paint mixture to your piece. If you don't want to use brushes, you can sponge-paint or use decorative stamps as well. 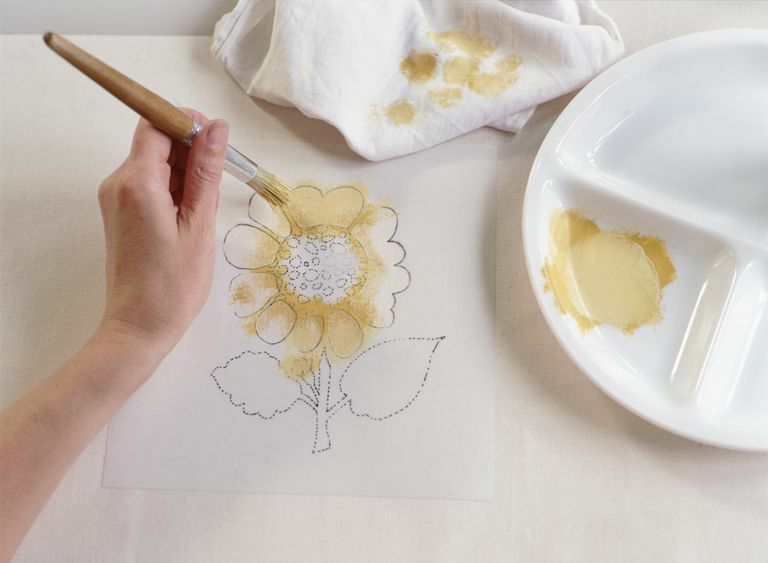 When you're finished with your design, let it dry thoroughly (likely overnight or for 24 hours), then you heat-set the design, typically with an iron, before washing, to make the design permanent. See the instructions on the particular product for best results. Thinned fabric medium can also be applied directly to printed fabric that's not color-fast to make it more resistant to water, for example, in upcycling a printed burlap coffee or rice bag or cotton cloth sack into a purse or table runner. It prevents the color from running, should the piece get wet.